If you have uninstalled the app without uninstalling the assets first, it's best to follow this procedure. If, at the moment of uninstalling, you did not have any live promotions then this procedure is not mandatory. Why is this necessary? Taking these steps will ensure that visitors of your shop who have an open browser session would still be able to access your promotions (because they are stored in their browser's cache). You can, optionally, uninstall the other assets installed by Discount Ninja. 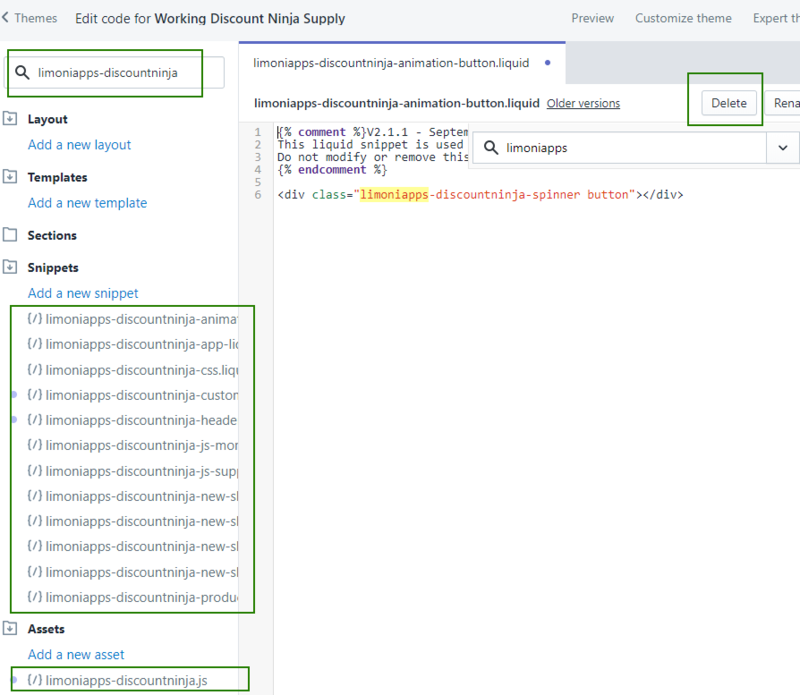 These assets are not loaded if you have removed the "limoniapps-discountninja-header", but you may still want to remove them to reduce the number of assets in your theme.